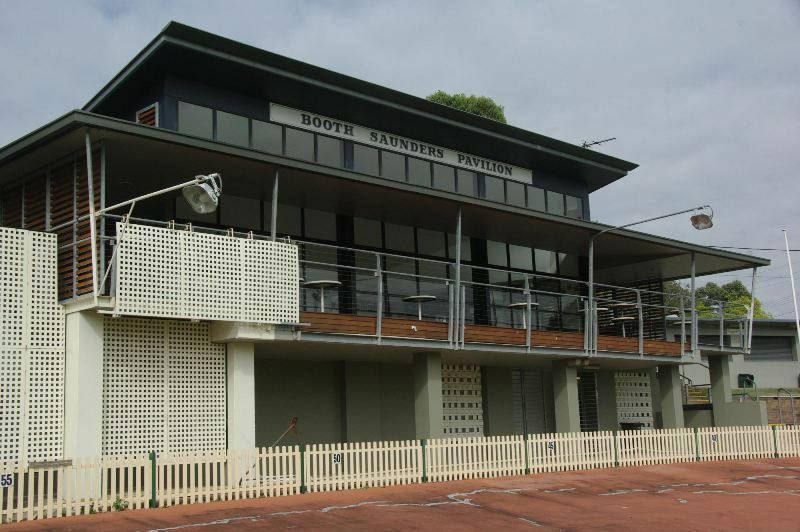 The Booth Saunders Pavilion was constructed in recognition of the contribution to cricket by Brian Booth MBE and Warren Saunders OAM. 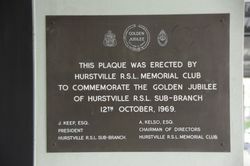 A plaque unveiled in 1999 commemorates the construction of the pavilion. 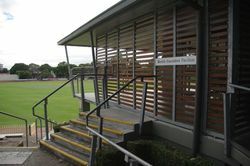 Brian Booth and Warren Saunders are former cricketers who are club patron and former presidents of St George Cricket Club whose home ground is Hurstville Oval. Brian Booth captained Australia while Warren Booth captained New South Wales during their cricketing career. This plaque was unveiled by His Worship the Mayor of Hurstville, Clr M O Frawley, on 4th September 1999 to commemorate the construction of the "Booth-Saunders" Pavilion in recognition of the contribution to the game of cricket by Brian Booth MBE and Warren Saunders OAM. 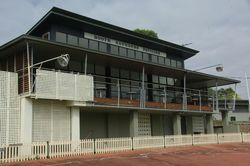 Council acknowledges grants from the St George District Cricket Club and NSW Sport & Recreation towards the project cost.